Waltons high quality, 34mm thick log cabins are extremely versatile garden buildings which not only add extra living space to your home but also add character and value to your property. The interlocking tongue and groove cladding reduces draughts and retains heat, making these durable log cabins suitable for use all year round. Complete with a ten year anti rot guarantee, you can be sure our log cabins are a great and worthwhile investment. 34mm thick Log Cabin cladding helps to provide customers with a high quality, strong and durable building that will keep you warm in the winter months. We do suggest that with any all-year round outdoor building that you choose the maximum cladding thickness possible and also choose double glazed windows, as these provide that extra warmth in the winter, thus saving you money on heating and electricity in the future. Waltons Log Cabin Range offers a breadth of different log cabins, some being more traditional side and others on the contemporary side. We also offer corner style log cabins to fit into smaller spaces. Whatever your need we are sure that we offer the perfect fit for you. Our Log Cabins arrive with our customers as a DIY kit. They are really easy to put up and all you'll need is a spare few days and a couple of extra pairs of hands to help you complete the build. 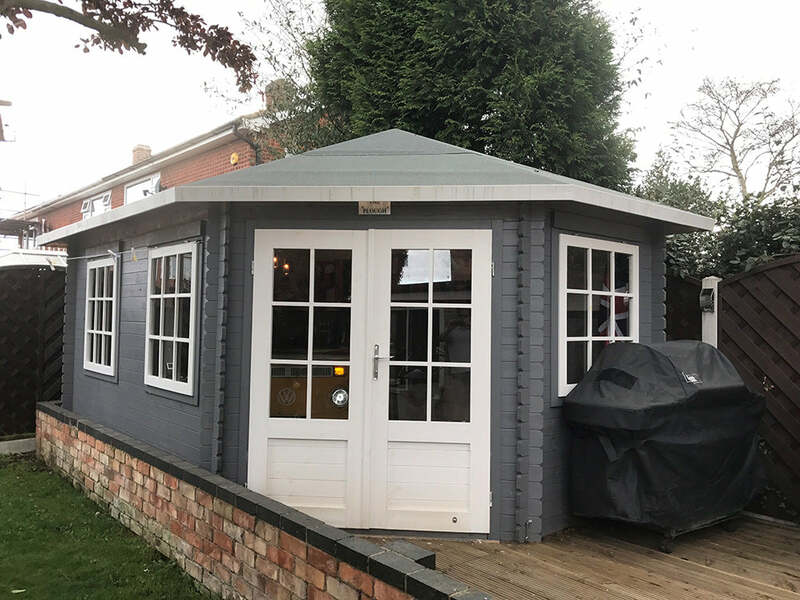 If you don't have the time to install the building yourself, then check out our Installation Service which you can add to your order.